This can be made available to Limited Companies or LLP's that have a good quality sales ledger, low credit note levels and customers that generally pay on time. You will need to be able to provide forecasts and monthly reporting but this could significantly increase the level of funding that you receive. For example, a company with an annual turnover of £3,000,000 with access to 100% funding levels, rather than say a 90% prepayment, could unlock an extra £300,000 of additional funding, to use in their business. 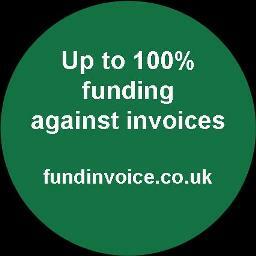 So if you are struggling with limited funding then 100% invoice finance could be a good option for you.